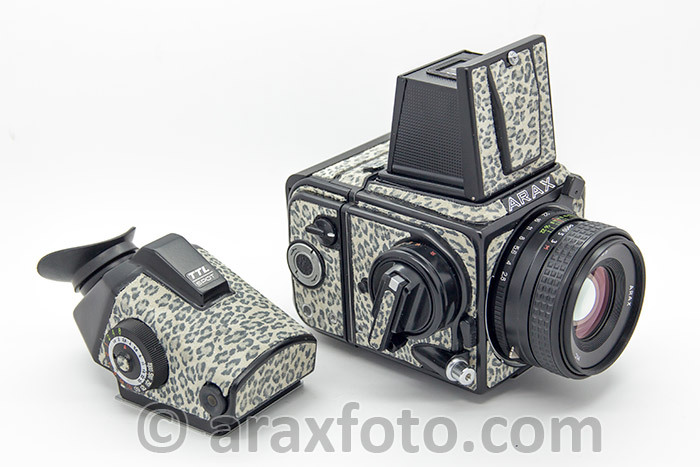 ARAX-CM-MLU/SE medium format film camera kit. 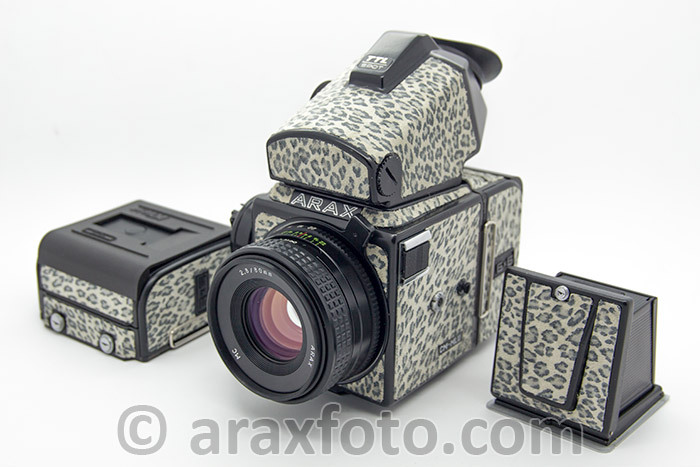 ARAX-CM-MLU/SE (Special Edition) kit. Black or chrome finish. Please contact us to calculate your order manually. Use contact form below, please. We offer the unique coverings which are genuine Italian Leather, manufactured for ARAX in a variety of colours and patterns. 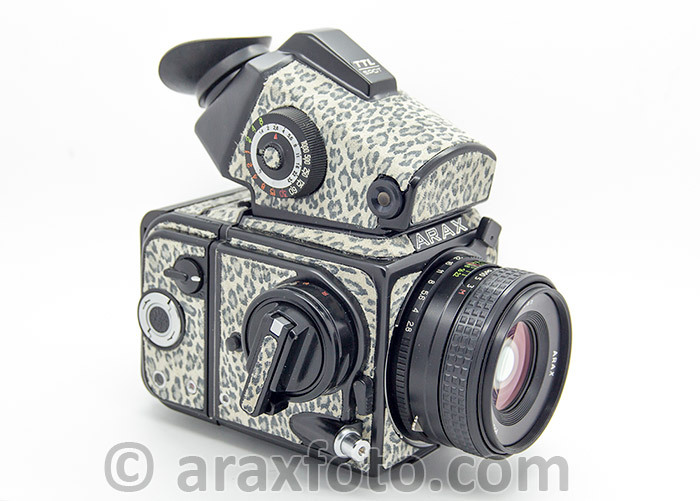 You can order any of our basic cameras with genuine leather. So, you will have a unique beautiful camera either for photographic pleasure or for collecting. Ask about your other wishes! 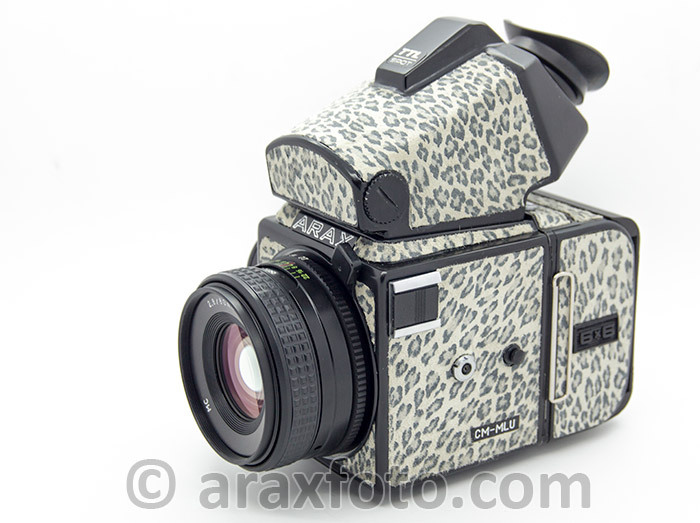 You can also have your name engraved on the left side of camera body for free! 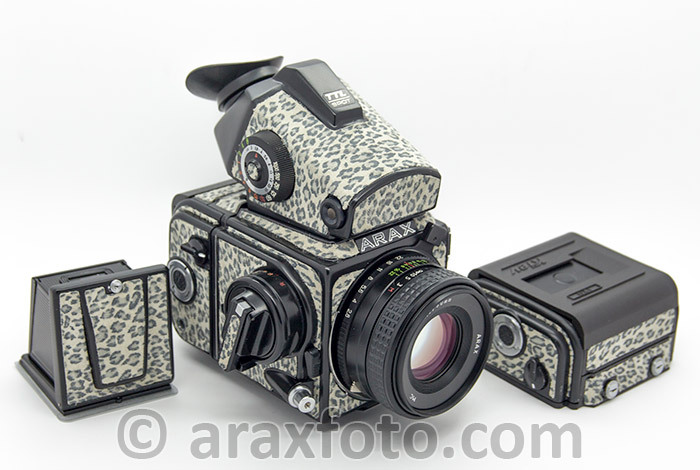 How can you get Special Edition (SE) cameras? Make your choice from the many varieties of colors and patterns that we offer to you. Upon receipt of your payment, we start the work and will finish it in 7-9 business days and immediately ship the SE camera to you. You'll receive the parcel typically within 10-20 days from shipping (or 3-5 days via EMS). The entire process, from your writing to us to getting your camera will take only 20-30 days. Range of shutter speeds: from 1/1000 - 1/2 and "B"